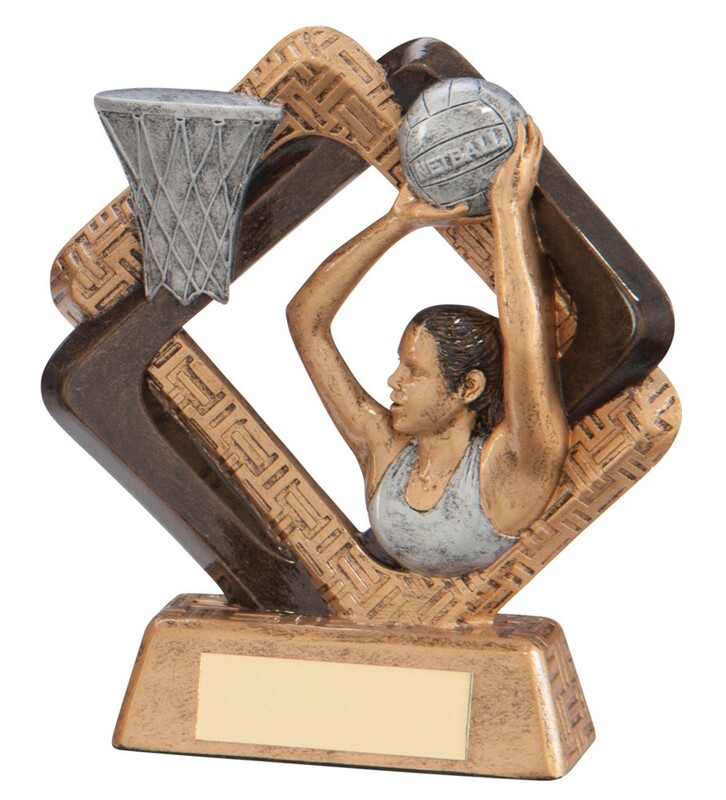 Resin Sporting Unity Netball Player/Shooter Trophies. Available in 3 sizes, 105mm, 135mm and 165mm high. Antique bronze with gold and silver netball player/figure.